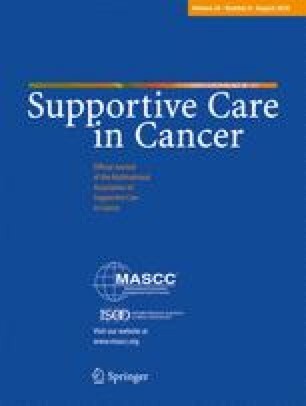 The primary objective of this study was to evaluate the relationship between exercise and sleep disturbance in a sample of individuals diagnosed with stage I, II, and III colorectal cancer (CRC) as patients transitioned off first-line treatment. We also sought to identify heterogeneity in the relationship between sleep disturbance and exercise. Data were obtained from the MY-Health study, a community-based observational study of adults diagnosed with cancer. Patient-Reported Outcomes Measurement Information System® (PROMIS) measures (e.g., PROMIS Sleep) were administered, and participants self-reported demographics, comorbidities, cancer treatment, and exercise. Regression mixture and multiple regression models were used to evaluate the relationship between sleep disturbance and exercise cross-sectionally at an average of 10 months after diagnosis, and the change in sleep disturbance over a 7-month period, from approximately 10 to 17 months post-diagnosis. Patients whose exercise was categorized as likely at or above American College of Sports Medicine’s guidelines did not report statistically better sleep quality compared to patients who were classified as not active. However, retirement (B = − 2.4), anxiety (B = 0.21), and fatigue (B = 0.24) had statistically significant relationships with sleep disturbance (p < 0.05). Increase in exercise was not significantly associated with a decrease in sleep disturbance. No statistical heterogeneity was revealed in the relationship between sleep and exercise. Further prospective research using an objective measure of exercise is warranted to confirm or refute the nature of the relationship between exercise and sleep disturbance in individuals diagnosed with CRC transitioning off first-line treatment. The online version of this article ( https://doi.org/10.1007/s00520-018-4110-8) contains supplementary material, which is available to authorized users. Theresa Coles received funding from the 2016–2017 Alvin R. Tarlov and John E. Ware Jr. Doctoral Dissertation Award in Patient-Reported Outcomes for tuition and conference attendance. Theresa Coles is employed at RTI-Health Solutions, where she received tuition assistance; this manuscript includes key results from her dissertation. Funding for the MY-Health study (Roxanne Jensen) was from the NIAMS U01AR057971 and a general support grant, NCI P30CA051008. This secondary data analysis was deemed non-human subjects research by the University of North Carolina IRB; formal consent is not required. The MY-Health study was approved through Georgetown University’s IRB (approval 2009-436).